You can listen to the podcast here or you can read the transcript below. I hope you enjoy my conversation with Lisah as much as I did. 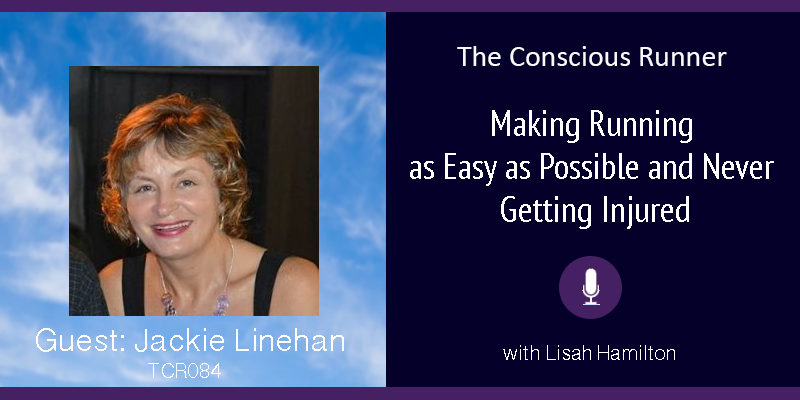 LH: I got runner, meditator and creator of The Peaceful Runner, Jackie Linehan, on the other side of the mike with me. As soon as I came across Jackie’s approach to running, I knew that I had to interview her. Jackie believes that if we don’t know how to properly deal with and release our emotions during stressful events that they remain in our bodies until a later time when the body feels like it is safe to release them. And, unfortunately for runners, these suppressed emotions often show up as running pain and running injuries. Jackie also believes that we need to learn how to deal with the different sensations in our body in a positive way and allow them to easily move in and out of our body so that they don’t result in something like an injury or stealing our joy from running. 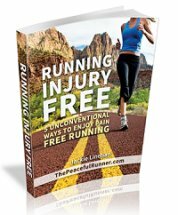 Negative thinking is another reason Jackie feels runners get injured. When we allow negative thoughts to take over, we feel down and depressed and this negativity creates stress and tension in the body and is the perfect condition for injury to develop. So according to Jackie we really need to keep our mind happy in order to keep our body happy so that we can keep running injury free. 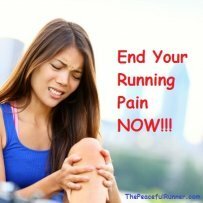 More specifically, we talk about how we react to pain and the difference it can make in whether or not we develop an injury, how believing you won’t get injured will keep you injury free, affirmations for running, running for the pure joy of it, making running easy as possible, nasal breathing, running barefoot, the Feldenkrais Method and of course much more. I completely enjoyed my conversation with Jackie and I think that you will find her approach to running absolutely exhilarating and I look forward to bringing all of this goodness to you. So listen in as I drop you into the conversation between Jackie and I.
JL: I started running about 11 years ago and basically I started for the exercise part of it but it certainly became more than that. I first noticed that I got a special feeling when I started running that I hadn’t experienced before. Then I realized that it was the connection between the mind and the body and it’s a very unusual feeling. I think a lot of runners experience this and I think this is why we get so addicted to running. There are so many people addicted to it. I relate running to meditating in so many ways. I get the same feeling that I get when I meditate. 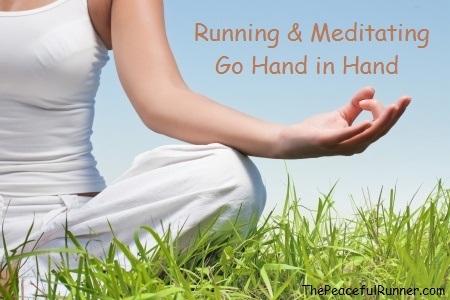 I wasn't meditating when I first started running but later in life I began meditating. I think it feels the same because when you are running, you are alone with all your thoughts and emotions and you just have to deal with them. You just have to get them out of your system and come to terms with them. It is the same when meditating. You sit down and all these things come up. It’s very healthy to accept your feelings and your emotions and then let them go. I think mindful running and meditating while running are very similar. A simple meditation that you can do while running is a mindful meditation. It is quite simple but yet quite difficult to do because you just notice your thoughts and then let them go. It is a very simple concept but actually doing it can become quite difficult because we often get caught up in our thoughts. However, the more we practice it, the better we become at it. I think a good practice to have while doing a mindful meditation is to allow our thoughts to arise, sit with them for a brief moment and then let them go. They are easier to let go when you don't resist them. This is a simple meditation we can do while running. LH: Why running? You said that you picked it up as an exercise to get fit so what made you choose that as an activity verses something else? JL: Because running is so simple. It has such a simple appeal. I could go running anytime I want to and of course you need very little equipment to do it. But also, The Running Room had come into our town and was getting quite popular at the time. I thought to myself, “oh great, I can learn how to run and I can do it properly.” So that is how I actually started running. I did a Learn to Run clinic at The Running Room. And it was very good. I did probably 8 or 9 clinics there. Eventually I did a half-marathon clinic with them and then a marathon training program with another group. It worked out quite well and I fell in love with running. LH: So what were your challenges along the way? What were the things you had to overcome or things that popped up that you weren’t expecting? Maybe you thought this is not as simple as I thought and it was more than just lacing up the shoes and going? JL: I think it was the mental struggle. I didn’t initially have this because I was just loving it and loving doing the distances. But once you do the distance, then you try to repeat that distance and repeat it again and again, the mind starts to play on you and it gets difficult. I think that was my biggest struggle so that is why I started meditating and dealing with negative thoughts and those things. A meditation that I practice sometimes and I call it a “feel good” meditation because it just feels nice. You could also call it a “heart meditation.” I just focus on my breathing and then I imagine breathing into my heart. It feels really good and it reminds us of how good life can be and how lucky we are to be running. It puts me back in the right frame of mind for running. I also do a lot of positive affirmations which really help. Yes the mental struggle was a challenge especially when running by myself. With groups it’s not so bad. LH: So you mentioned that you don’t race that much. You are not a competitive runner? JL: I do occasional races and of course I like to do my best but I prefer to just go out and run. Whenever it is convenient to do a race, I certainly do them. I do enjoy them when I participate but I am not into the highly competitive races. I just race in my local community usually. LH: So how does your training happen? What approach do you take from that standpoint? Do you go out and run however many miles you feel on the day? Is there a training plan, do you add intensity? How do you conduct training around that approach? JL: I don’t really follow a training program. I used to do years ago when I first started running. When I was doing my first marathon, I followed a strict schedule but I don’t do that so much anymore. I just more or less run for the enjoyment of it and do an occasion race when I feel like it. LH: So competition isn’t really a goal or priority of yours. Your goal is more for the meditative aspect of it and how it makes you feel. So how do you conduct your training around that? When you get up in the morning do you just decide how far you are going to run, what pace you are going to run it or is that something that you decide while you are on the run or do you just go until you’re tired or you feel like you had enough? What dictates what you do each day? JL: I don’t have a structured plan. I just go by how I feel. If I feel like I can go fast, I go fast if it comes naturally to me. I don’t use pacing by my watch. I mostly focus on how my body feels. If I feel like I can go fast, I will go fast if it feels right to me. I do focus a lot on body awareness and how my body feels at the time. All of this is part of injury prevention. On a particular day if I feel really tired, I will go easy and I may even cut my run short. I don’t have a strict schedule at all. I basically have an idea that I want to do 10km or whatever distance. If I have a half-marathon that I am training for, I will try to do a longer run at least once a week. But I will also gear it around how I feel on the day. I think that is the most important thing. LH: Ok, that is what I was just wanting to know in comparison to someone who is doing a strict schedule. We have to know where we are going in order to get there and I was just curious how you conducted your training. If you get out of the car and you just started and whatever happened happened or if you said ok today I am going to try to do the 5 miles because that is what I am feeling I want to accomplish or if you don’t feel like doing it while you are running you like to cut it short or even stop it and allow yourself to be able to do that. JL: Yes, I am not very strict with myself but everything still works out ok and I still get my regular 3-4 runs in a week. It’s all good! LH: That’s perfect. I was curious about with the approach you have and what kind of structure you have around it. So you are going to get your 3 runs in wherever and whenever you feel like it! LH: That’s perfect! I love it and that suits what your goal is. JL: One of the things I really concentrate on is learning how to make running easy as possible. One of the topics I mentioned to you earlier was the nasal breathing and I think that is really important in making running easy. 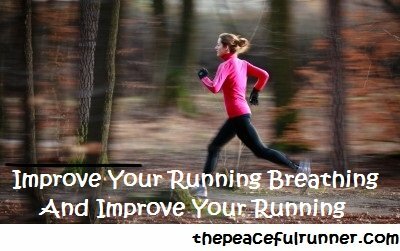 Nasal breathing is just strictly breathing through your nose while running. You don’t use your mouth at all. You just inhale and exhale using your nose. I read so much about all the benefits that I decided to give it a try. It just made sense to me that if you breathe in a more relaxed way using your nose, it is going to be slow and easy. It is not going to be rapid, shallow breathing. If you think about it, rapid breathing does place stress on your body. But if you just breathe using your nose, similar to as you would while meditating, your body will be much more relaxed and the chance of injury is reduced. Nasal breathing is very difficult to learn and it can put you off when you first try it because you feel like you are smothering. However, dealing with the fear is a big part of it. If you can learn this skill while running, it is a big step towards making running easy because it does make running feel much easier. Nasal breathing makes you feel better and there is no stress involved. It’s healthier and you reduce the risk of getting injured. It’s been working for me. I have never had an injury except when I was learning to barefoot run initially. I know a lot of runners who have a lot injuries and they run the same distances I do and they often get injured. I think it is really important and beneficial for runners. Are you interested in hearing more about nasal breathing? LH: Yes, it’s was one of the questions I had here to ask you. So yes if you want to go and talk about that now. JL: There are so many benefits to nasal breathing. If you are just breathing in through your nose, the nose will prevent infection as it cleans and filters the air. No pollutants or bacteria can get in because the nose filters it all. It also regulates the air volume and temperature so you know you're getting the right amount of air. You're not going to hyperventilate and it's coming in at the right temperature. So if you're running in cold temperatures, you don't have to worry about frost getting into your lungs. The temperature will be adjusted if you use your nasal passages. Also, I don't seem to have a problem running in the wind anymore since I started doing this. Before I felt like I was short of breath in the wind and that doesn't seem to be problem anymore. Nasal breathing helps provide a proper oxygen exchange which ensures that you are keeping the proper balance of oxygen and carbon dioxide in your body. Hyperventilation is caused by too much oxygen in the body so it prevents that. One of my favorite benefits which I noticed personally is that I don't feel so tired after running. Because I'm not using all that energy to breath, I just don't feel as tired. I can just go home and enjoy the rest of the day. I don't feel exhausted like I used to. LH: So can you give us an example of nasal breathing. Is there a certain pattern that comes along with it in response to your foot strike or anything like? JL: I have tried using a foot strike pattern but I think it is best just to try to nose breathe as slowly as possible rather than trying to focus on your steps. I have tried that but it doesn't seem to be slow enough if you try to do it with your steps. I think your exhale perhaps needs to be longer than your inhale so it can get out of sync with a foot pattern. I also think we need to keep a slight gap between the exhale and the inhale and so it gets a bit confusing if you try to use steps. I have tried it but it doesn't seem to work. LH: Yes, I have seen it that you inhale for one step and then exhale for two steps. Not with nasal breathing -- I haven't tried that myself. I have just seen it with mouth breathing that some people have adopted patterns like that. I think we all adopt a pattern naturally. JL: Yes probably.I have been reading a bit more about it lately and it seems that the slower you breathe, the better it is because it keeps your body from going into stress and the less stress we have the better it is on our bodies. I think nasal breathing is just amazing but the problem is with learning it. Most people will shy away from it because it feels impossible and I felt the same way. The first time I tried it, I gave up on it. It felt too difficult especially on the hills. If you keep trying it, you will realize that it is possible and it is really worth it with all the health benefits and your improved running performance. It's just easier. If you are competitive and it really matters to you, it will help you get there and improve. A good time to try to introduce this breathing technique would be when someone is recovering from a running injury and they are just starting get back into running. This is a good time because you can allow your nose to guide you. You don't run any faster than your nose allows you to go so it will prevent you from putting stress on your body. You can recover safely from that injury and get back into running. It will prevent you from doing too much too soon and you'll learn this new skill at the same time. So if someone was in that situation, it would be a good time to learn nasal breathing. It is about developing your respiratory system. We have developed our physical fitness but then we also need to develop our respiratory fitness which is an important part of nasal breathing. LH: Now you mention affirmations and I am a huge fan of affirmations. I would just like you to talk about how you use them to help you when you're running. JL: If I notice myself thinking something negative, such as, I am feeling tired or I have a lot of distance left to do, then I'll try to take my mind out of there by using an affirmation—something to remind myself of being positive. “I am here and the time now,” is one that I use. Another one that I use which doesn't really sound like a running affirmation is: “I deeply and completely love and accept myself.” This is a feel good affirmation and it makes me feel good about myself and no matter what I do, it’s OK. We give ourselves such a hard time sometimes. We need to give ourselves a break and actually by saying this affirmation, it allows you to let go of all these stupid feelings and that allows us to our best. It's another way of making running easy. LH: I am actually familiar with that from Tapping (EFT). JL: Yes that's where I first heard it. LH: I love it love it. JL: Yes, it’s a really powerful affirmation. LH: I know that you have some other sort of unconventional ways on how to run injury free and injuries are runners biggest nemesis. So if you could just talk about some of your unconventional ways to remain injury free. JL: There are three main aspects that I think are really important to keep us from developing injuries. These are mostly psychological but I do think that we actually have a lot more control over our bodies than we believe. If we try to look more that way rather than outside ourselves, then we can actually discover that we are capable of doing a whole lot more in preventing injuries ourselves than we think. One thing I think we need to develop which I mentioned before is body awareness, which is your mind's connection with your body. We get so busy with our everyday lives—we are running here, doing this, doing that and we don't really pay any attention to what's happening inside. And it's the same when we are running. We are focusing on our time, our pace, how much distance we have to run instead of listening to the signs that our bodies are sending us. Unfortunately sometimes that comes in the ways of aches and pains but I think that's just our body's way of speaking to us. If we can learn to listen to these signs rather than resist them, we can go a long way in developing this relationship with our bodies. So we just need to practice a little bit and everything takes practice. The first thing I would suggest is trying to give your body full attention even when you're not running. If you're just walking across the room, notice how your body moves, how it feels, how your hips are moving because everything is connected--every move we make. If you move one shoulder, the opposite hip moves when we are walking or running. Notice how your feet feel on the floor--where do they connect? It’s a matter of practicing awareness of our bodies and establishing a connection to it. Tai Chi is a good practice as well for body awareness and yoga can be too if you focus on the body awareness aspect of it. Body awareness meditations can help you as well. We need to try to develop a closer relationship with our bodies to understand what's going on inside and once we have developed that awareness, if you have tension in your body while you're running, you will notice it. And if you notice something, it's so much easier to get rid of it than if you're not aware of it all. If you're aware of it, you can release it. So body awareness is very important in preventing injuries. The second thing I think we need to do is to notice how we react to pain. How we react to pain can really make a big difference in whether we develop injuries or not. You could feel a little twinge in your leg or your knee and it could turn into something based on how you react. If we respond with fear or if we resist what we are feeling, it uses up a lot of energy. We use a lot of energy when we resist pain and we actually cause it to settle in more rather than letting it move on. So how we react to pain makes a big difference. If we don’t resist these little aches and pains and we stay calm and allow ourselves to feel what's coming up, it can be released a lot easier. We can give it space, put space around it and just feel it. And strangely enough, it often goes away when we practice this. If we keep doing this and the more often we do it, we see that aches do go away. Then you will start to become confident in your belief that you are not going to get injured and that's that leads us into aspect number three. The third aspect is our belief in the idea that we're not going to get injured. We need to start believing that we are not going to get injured and that's a very important step in learning to run injury free. 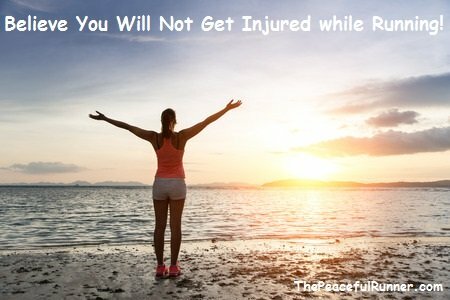 There is a quote by Dr. Wayne Dyer which says, “Change the way you look at things and the things you look at change.” If we believe that we are not going to get injured, then I believe that we won't get injured. Whatever we believe comes true. So we can start working on changing that belief. Sometimes it's hard to change what we believe but it is possible. We can start by looking for evidence to support our new belief. So each time you go for a run and you don't get injured, congratulate yourself on being an injury free runner. “I am an injury free runner.” The more you tell yourself this, the more you will start to believe that you are an injury free runner. You can also use an affirmation, such as “I have a strong healthy, injury free body.” Keep reminding yourself of that a number of times during the day and while you are running. Visualization techniques are very helpful as well in changing beliefs. I think those three things are very important in learning to run injury free and they seem to work for me because I absolutely believe that I am not going to get injured. I will knock on wood just in case, but I really believe that I will not get injured. LH: It's amazing how powerful the mind is and I resonate with everything that you said and also believe that what you said to be true and I use those types of techniques myself because I know how much our mind can influence the health of our body. JL: Yes it's very important and very powerful. We just have to let it (the body) do its job. LH: So I know that you have guided meditations and I think I saw something with theta waves as well. Can you explain to me how using those types of tools can help us to change our beliefs so that we can become less injury prone and even enjoy running to it’s fullest. 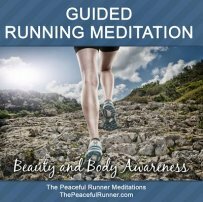 JL: Yes I have created a number of guided running meditations and each one has a different focus. 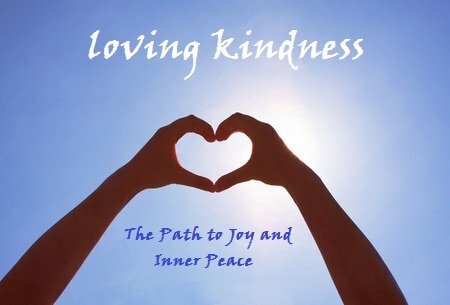 One is on mindful running, one is on body awareness and the other one is a loving kindness meditation. They are all meant to teach us how to stay in the moment while we are running because that in itself is so beneficial. If we can just stay present and just notice what we are feeling and just enjoy our surroundings and develop a closeness to our bodies. I think they are all beneficial in learning to run injury free. The other product I have with the theta brainwaves is a package that I designed which include 10 affirmation. I call it “The 10 Most Powerful Affirmations for Runners.” There is a booklet included that explains each of the affirmations and why I think they are helpful in changing your beliefs. These affirmations are about changing your beliefs and trying to see things from a different perspective all in relation to running but running and life present similar challenges. Audio recordings are also included in the package to help you access your beliefs on another level. You can practice on a conscious level by saying the affirmations but also you can listen to them with the theta brain waves recording and practice on a subconscious level. Using this package you can practice on both levels, which would be more effective. Theta brain wave frequencies are heard at the brain state of REM dream state. Listening to suggestions using these frequencies is an extremely effective method of changing your subconscious thoughts. By listening to a theta brain wave recording while conscious, we can access and influence our powerful subconscious state that would otherwise be inaccessible to us while awake. In this state, we are capable of deep and profound learning, healing and growth as it is in this state that our minds can connect to our spiritual source and manifest changes in our lives. LH: What are theta waves? JL: When you hear a suggestion (which includes theta waves), you hear it on the subconscious level. We have beliefs that we are not even aware that we have because they are on a subconscious level. These recordings are helpful because when you hear a suggestion using theta brain waves, it accesses your subconscious mind so it bypasses your conscious mind and gets right to the heart of your belief system. So it gets to the root of your belief system which is much more effective. LH: So are these waves something that you can hear? Is it like a background noise, background music, is it beats, like what is it exactly? Is it something you can detect in the recording? JL: There are two types of recordings. I have the silent ones where you can’t actually hear them but they are still there as they are heard on the subconscious level. So you are not even aware that you are hearing them as they are on such a low frequency. On the other recordings you can hear the theta brain waves. It makes sort of a vibration sound but it's not unpleasant. It’s quite nice actually and relaxing. LH: I am all for anything that helps to get to the core of changing a belief. JL: Yes, especially the negative ones. LH: So I also saw that you are really into Feldenkrais and interestingly I had Jae Gruenke, who practices the Feldenkrais Method, on the Podcast and I wanted to talk about how you have used it and how our listeners can use it to enjoy running more, stay injury free and reach their goals. JL: I was introduced to Feldenkrais when I had a lower back problem. I had tried everything. I had a back problem for about fifteen years and nothing worked. I had massage therapy, chiropractor treatments and everything helped a little but I just wanted it to be fixed. I had a lower back ache all the time and it was affecting my life. I was still able to run but I couldn't lift anything. It was a coincidence that I met a lady in my neighborhood one day who was a Feldenkrais practitioner. She told me about it and I told her I had a bad back. So I started seeing her for lessons. Feldenkrais is a little bit difficult to explain but it involves very minute movements and it is how I first learned about body awareness. That is what it teaches you. There were a lot of muscles in my back that I wasn't using so that when I started Feldenkrais, I discovered that I had all these tiny, tiny muscles that I wasn't using. As you make very tiny movements, you bring these muscles to life again. Think about how flexible a child is and how inflexible an older person is. From a Feldenkrais perspective, the older person has stopped using all these little muscles and the baby is still using all those muscles. Feldenkrais helps you learn to use all those muscles again. And it fixed my back. After four months of lessons, my back was much better and it continued to get better. I have no problems now at all and that was probably five or six years ago. I have also used Feldenkrais for running. 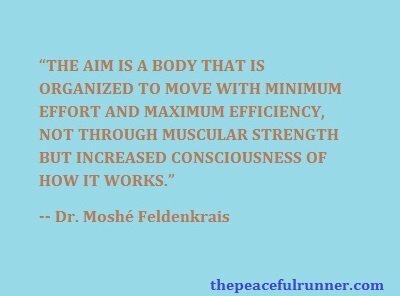 There is a book I read called, “Running with the Whole Body,” which is Feldenkrais for running and the lessons in the book are great for learning body awareness while running. You learn that your body is moving as a whole rather than all these separate parts. It really does help you develop your awareness when you do the exercises and become aware of how your feet are on the ground, how your hips move with your shoulders, etc. Feldenkrais has really helped me run better and I think it's a big aspect in the fact and I don't get injured when I run. It probably started from there. LH: That's fantastic. You are certainly not the only person I've heard benefited from Feldenkrais. People have come to me and said now that my form is fixed with Feldenkrais and I am not injured anymore, I would like to go a little bit faster. JL: Tell them to start nasal breathing and it will help a lot. LH: I love this. I love shining a light on these sorts of unconventional ways to not only get more joy but also to stay injury free and to get faster. They can help people who are at the end of their rope where they have sought other forms of treatment that have not helped. This might be something that they can try—one of these ways of making running easy. JL: I usually try to go the unconventional way. It’s much more interesting. LH: So what would you say in your eleven years of running that is different about the runner that you are now than when you first started? JL: That is an interesting question. I think I've changed as a person. When I first started, I was running with other people. It was more of a social thing to me and getting exercise as well but now I don't even think about it as exercise anymore. Even though I know it is and I do miss it physically if I don't do it but it's more of a mental development sort of thing with exercise thrown in there on the side. I mostly run by myself now and it is because I have moved from where I used to live which had a big running community. It was a small town so it was easy for people to meet up and run. Since I moved, I lost that sort of running community and I had to learn to run on my own. I think that has made me a much stronger runner in many ways because I've had to learn to run on my own, which can be mentally difficult. That is when you get a lot of negative thinking coming up and you have to learn to deal with it. Yes, I do look at it differently because in the beginning I was more competitive than I am now. I was so focused. I want to go faster and now I'm just doing it for the enjoyment of it and I want to doing it until I am really, really old. LH: I think about the last person I interviewed and her site name was very similar to mine. I am the Conscious Runner and she is Running Conscious, which I thought was amazing and when I got to speak to her, it sounded like we were on parallel paths of the same journey, but she's a little further ahead of me. She's older than me and she hit her peak at running earlier than I did but we were on the same journey in many, many ways. It’s just cool to see the evolution of how you guys start off using running as one thing or having it serve one purpose and then as you move along the journey of your life, the focus shifts into another. JL: Yes, it is strange. I would actually really like to help other people run better. I'm more interested in helping other people to run injury free and and improve their running than I am in developing my own running abilities. I don't feel the need to be competitive whereas I know other people do and I would like to be able to help them achieve their goals. LH: Is there anything else that you would like to add? JL: The other topic I am interested in is barefoot running. I would like to speak about that for a little bit if that’s OK? LH: Absolutely, I would love for you to speak about that. JL: I know that barefoot running is a really hot topic. There is a lot of debate about it and some people say it's not good for you for whatever reason. However, there is one thing about it that no one can argue about and that is: that it is a more natural way to run. For me that was the appeal. I think in the long run and for the long term benefits, it's much better to allow your feet to develop in shoes that allow your feet to spread and shoes that allow your feet to move more naturally. I don't actually run in my bare feet. My favorite shoes by far are the Vibram Fivefingers -- the ones that look like gloves. I like them because I can feel the most in them and they look like feet. I think they allow my feet to move in the most natural way possible and I think this makes my feet stronger and my feet are actually wider than they used to be. These are the benefits I think. If you could run in your completely bare feet, I think it is the most beneficial way because you can get a lot of feedback through your feet. As we were talking about body awareness earlier, you can receive a lot of feedback but to me it's just not practical enough. I want to have something on my feet. So I chose to run in the Vibrams when it’s warm enough and in the winter I wear something a little warmer. 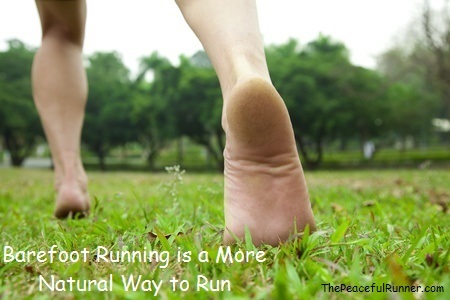 I just think barefoot running is a very good thing to do for your feet and your running form. You need to step more gently when you're running because you don't have all the cushioning under your feet. You have to make sure you land properly. Your foot needs to go underneath your center of gravity and land on your forefoot. Barefoot running also helps you develop your balance. You develop strength in your feet and it will help you with your balance because you are using your bare feet more. Balance is very important especially when we get older. You may notice with some older people the first thing they lose is their balance particularly going downstairs. They are unsure of their feet and where they are stepping. I think it is best to run barefoot or in minimal running shoes (as minimal as you can go) so that you can let your feet do the work that they were meant to do and that they are able to do. Because runners are so used to wearing cushioned soes now, there is a big transition in order to change and that's where the problem lies. Runners do get injured and I did as well. It was the only time I had a running injury--when I was trying to convert to barefoot running shoes. I was a bit overzealous in my efforts and tried to do too much too quickly. I also wasn't paying proper attention to my form. I think that's the reason why I hurt my feet. So if anyone wanted to try barefoot running, my best advice is to go very slowly. Start walking in minimalist shoes first and do foot strengthening exercises. Walk around as much as possible in your bare feet. At home, get rid of your slippers and just wear socks so you are using your feet more to develop strength. Do balancing exercises such as putting a towel on the floor and pulling it towards you with your toes. This will help strengthen your arches. Do toe yoga – with your foot on the floor, lift your big toe only, put it back down and then lift your other toes separately. These kinds of exercises really help strengthen your feet. When you start barefoot running, make sure that your foot lands under your center of gravity. If your foot is out in front of you and you are wearing minimal shoes, you are putting too much pressure on your feet and you are going to get hurt. So you do have to be careful that you're running properly and that you do it slowly. If you do start to feel pain, just cut back and try again later. So that's why I chose to run in barefoot shoes. I think in the long run, it’s a healthier way to run. LH: And you pretty much do it full time or just not in the winter? JL: Yes, full time. I don’t wear my Vibrams in the winter. I wear other barefoot running shoes because the Vibrams get wet so easily. I wear New Balance Minimus in the winter, which are also minimal shoes. They have no cushioning and have zero heel to toe ratio. I really like my Vibrams so I wear them as long as I can. LH: I have a pair of them too and did try minimalist shoes. It was interesting and I definitely know the importance of at least incorporating some barefoot activity into your running because of all the benefits that you said. And also just being in contact with the earth. JL: Yes, that’s true. That’s one of the benefits of going strictly barefoot, which is really nice when you have the chance to do it. Just walk around on the grass in your barefeet. LH: Thank you so much for coming on. JL: Thank you for asking me.